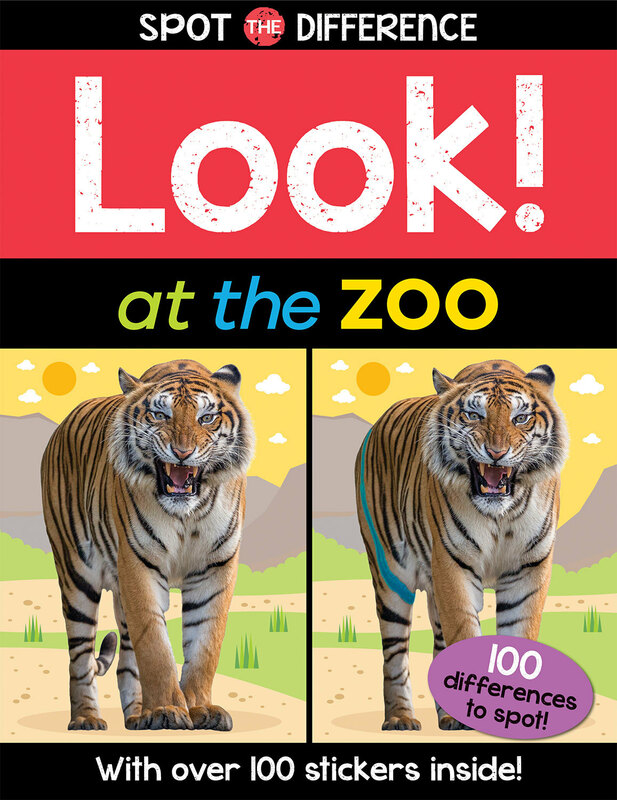 Educational spot-the-difference sticker fun for little ones! 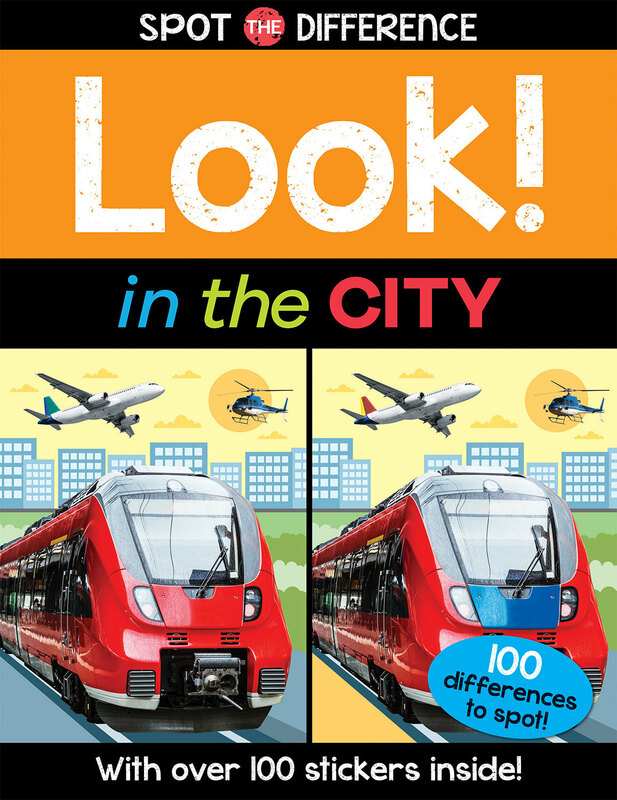 Discover city life, farm animals, wild animals, ocean animals and more, then spot and stick the five differences between the photographic scenes on each spread. 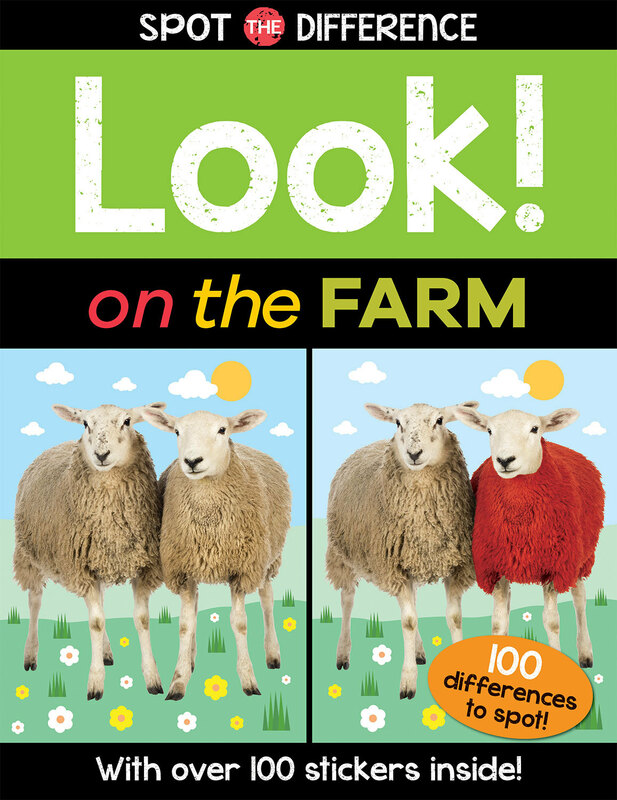 Simple, easy-to-read text about each scene combines together with bold, colourful graphics and appealing photographs for parent-child sharing. 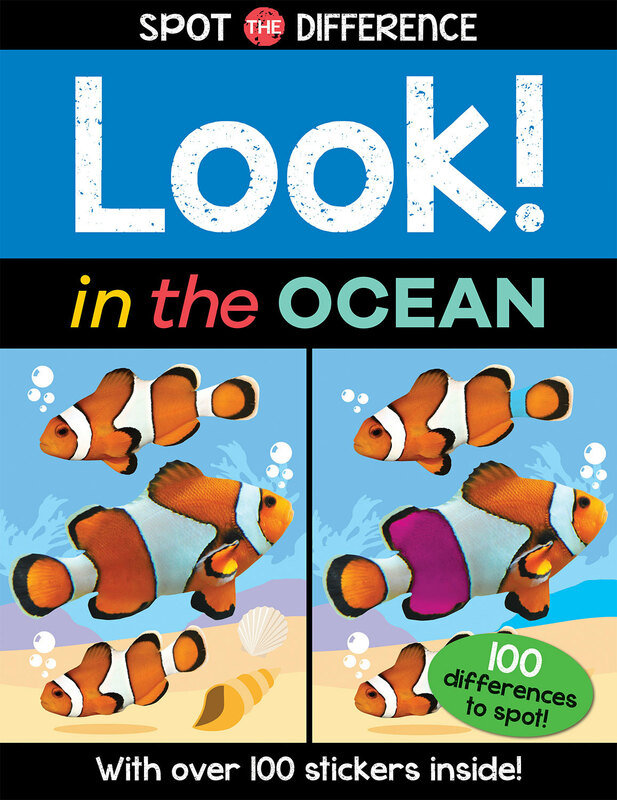 Onomatopoeic words throughout add to the early learning fun for boys and girls age 3 and up.